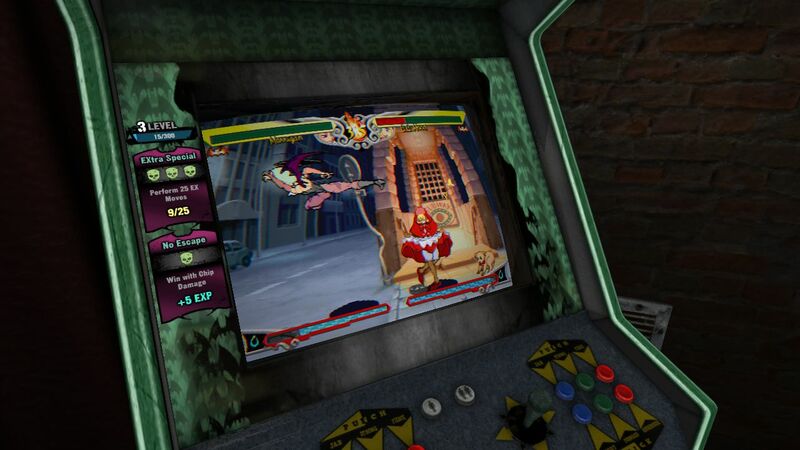 REVIEW: I remember around 1998-1999, my local arcade still had a mint condition Night Warriors: Darkstalkers Revenge arcade machine. 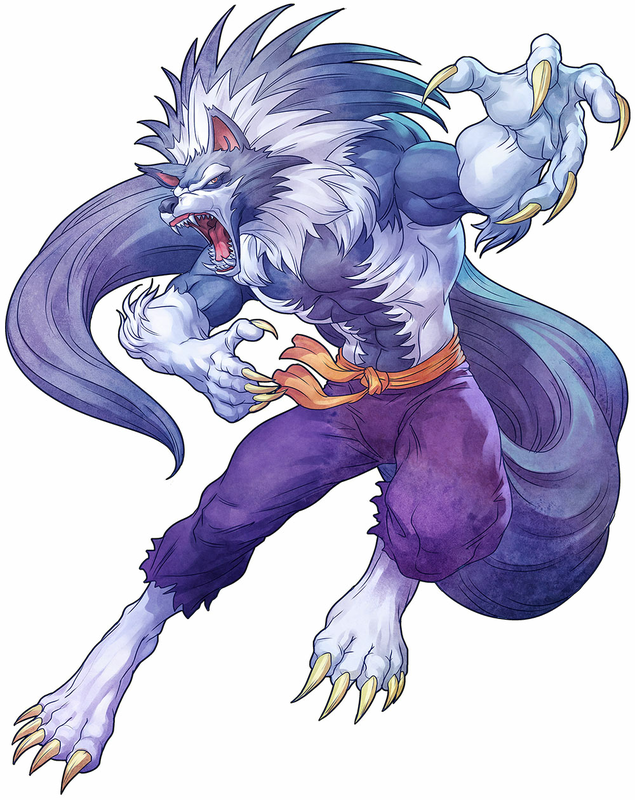 I remember periodically catching myself watching the game's opening movie over and over again. 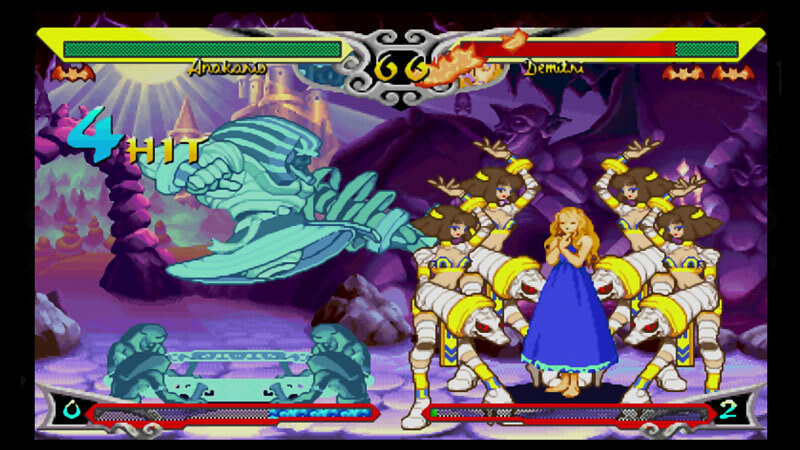 (This was because the Darkstalkers arcade cabinet was positioned right next to the Marvel VS Capcom and Soul Calibur machines, where my "Tilt" tokens were commonly known to reside at the time). 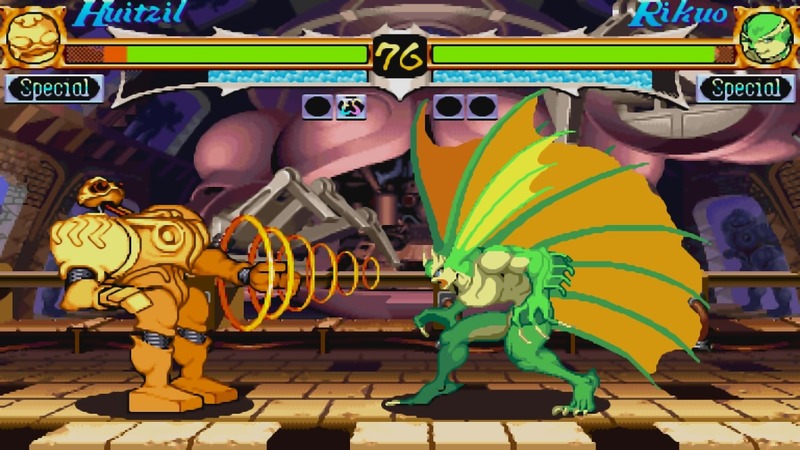 On that note, that cool intro movie did seem to play indefinitely, as Darkstalkers never received nearly as much love as other fighting games at the arcades.... 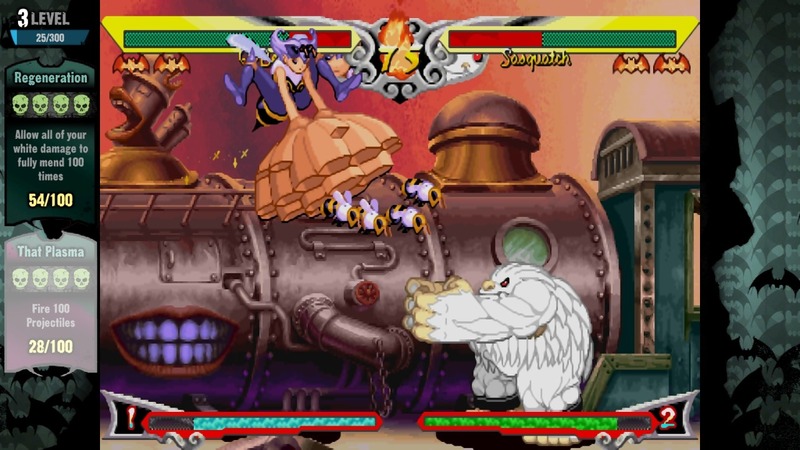 I always kind of felt bad for that machine. 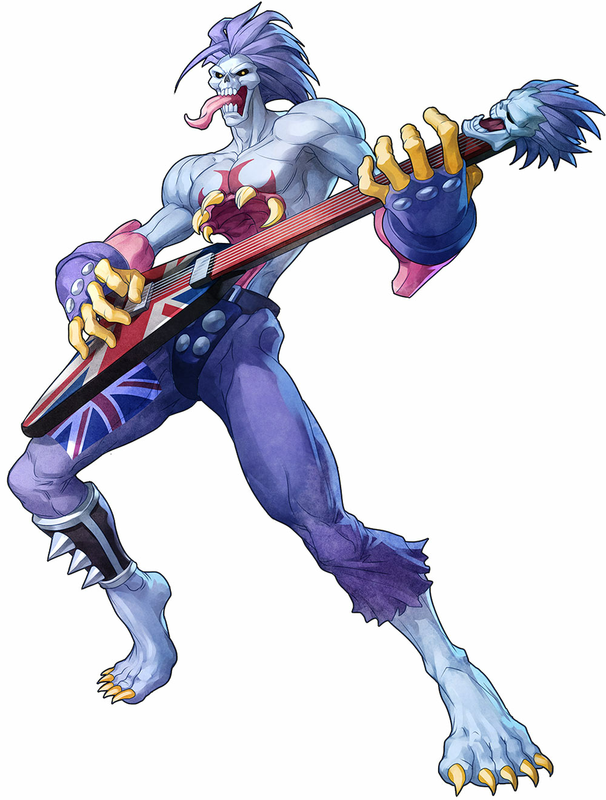 Nonetheless, I've always been an admirer of the character designs, artwork, music, and universe of the series. 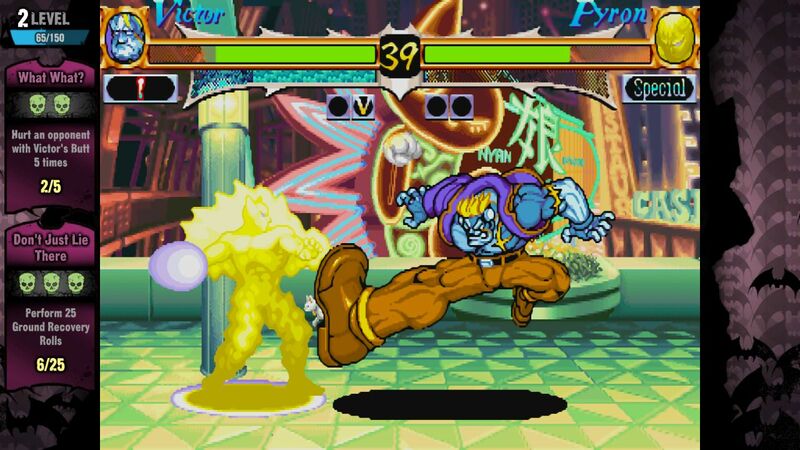 That's why picking up Darkstalkers: Resurrection, a downloadable package featuring 2 online-enabled arcade classics for $14.99 seemed like a no-brainer. 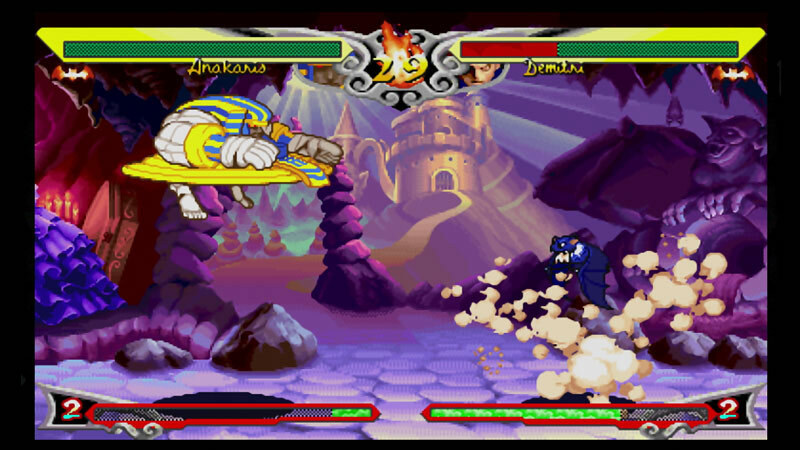 Darkstalkers Resurrection contains arcade perfect ports of Night Warriors and the sequel, Darkstalkers 3. 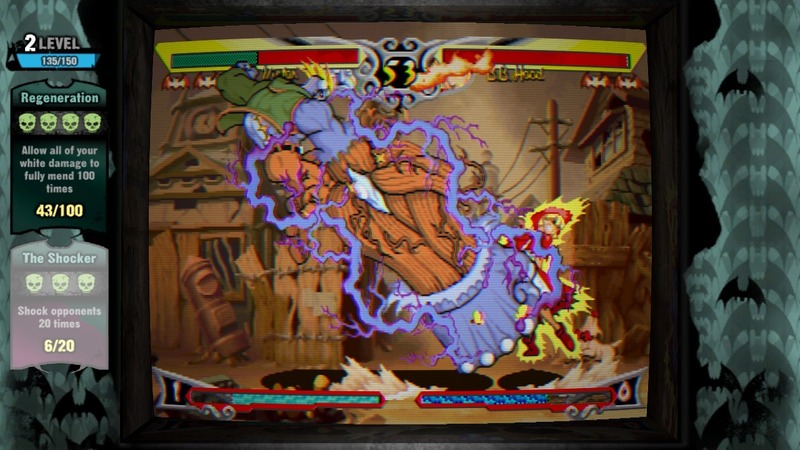 Falling in line with other recent Capcom digital releases (Street Fighter III: 3rd Strike Online and Marvel VS Capcom: Origins), Darkstalkers Resurrection features remastered visuals, a variety of graphical filters & viewing options, realtime on-screen challenges, unlockable artwork & extras via the Vault system, smooth GGPO online play, and integrated Youtube replay sharing. 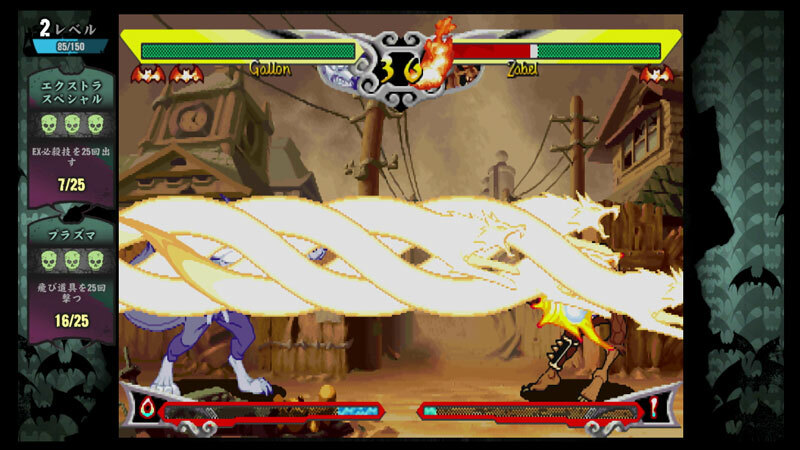 Online Mode offers the standard matchmaking options and is as smooth as you'd expect from GGPO. 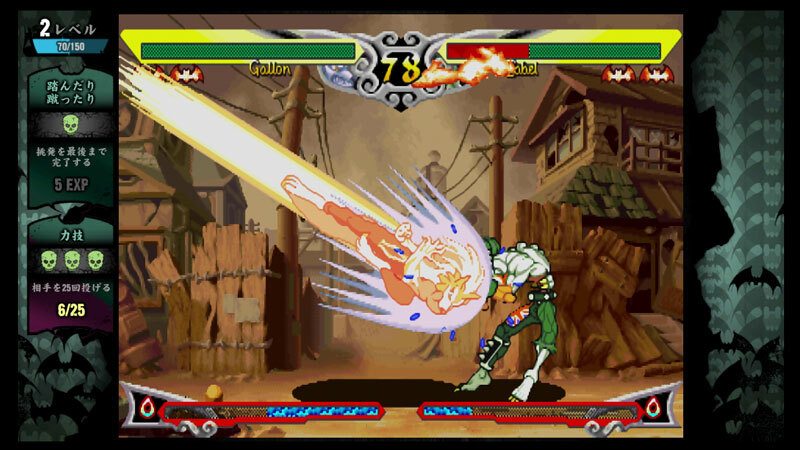 Online also packs an 8-player online tournament mode with full spectating capabilities. 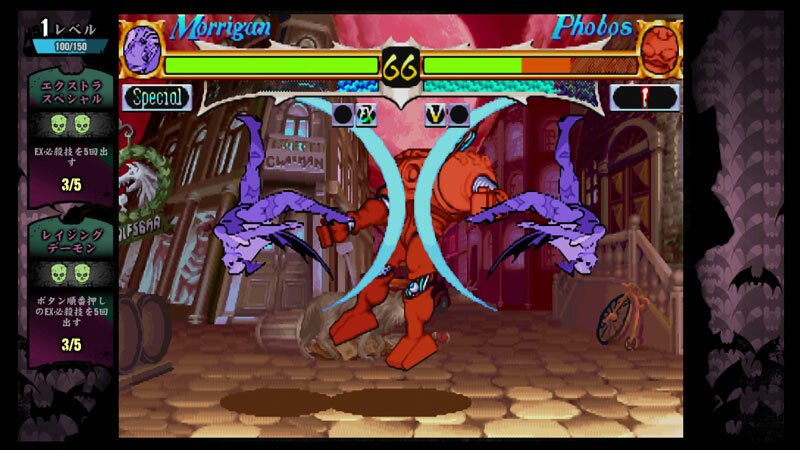 Old school graphical filters for the old school fans. 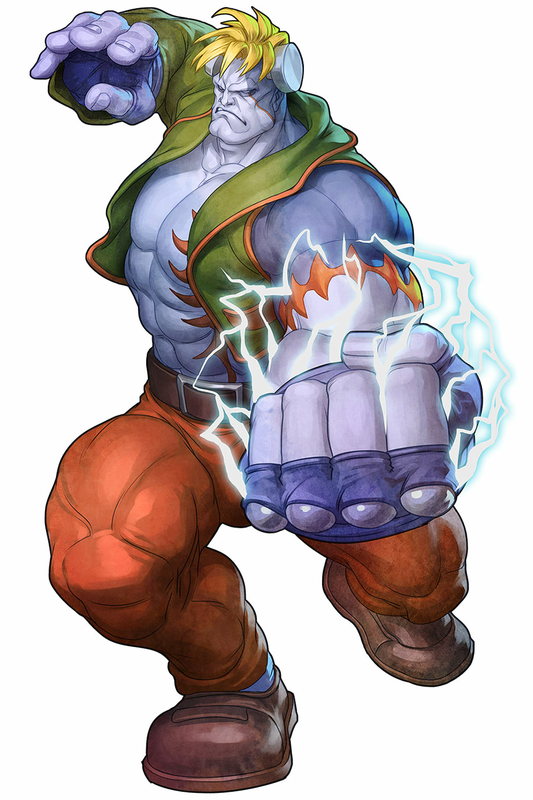 Just like in SFIII: 3rd Strike Online Edition, Stanley Lau (Artgerm) created awesome new artworks for all of the characters in the game! 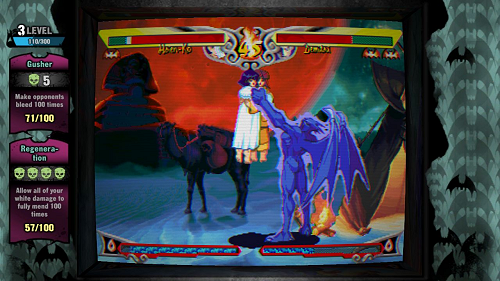 This artwork replaces the pixelated character portraits on the character selection screen(s), and is proudly shown off on the Darkstalkers Resurrection main menu. 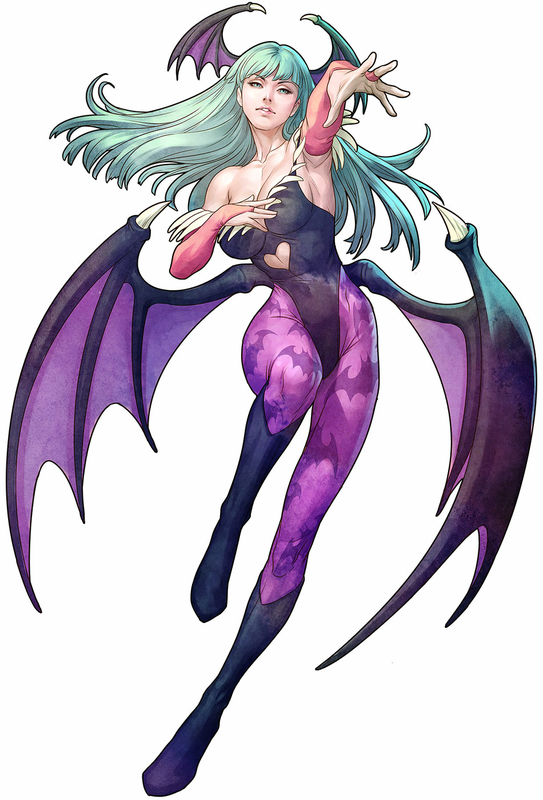 When the game first starts up, you're treated to a remastered version of Morrigan's Night Warriors theme... one of my personal favorite BGM's... of all time, that is. 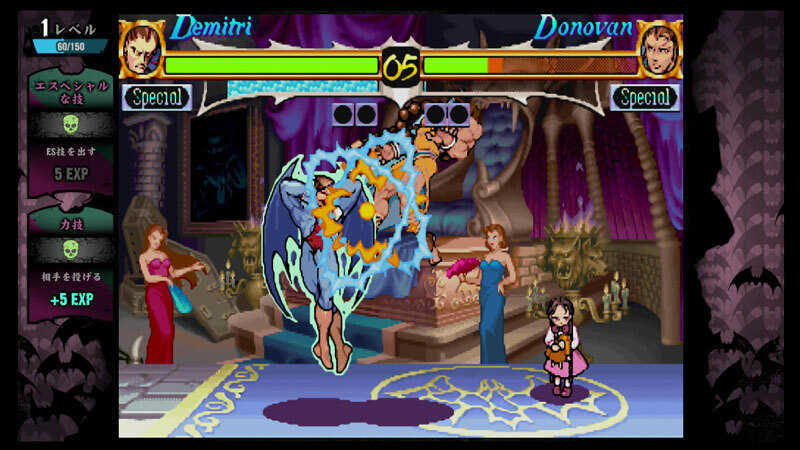 The main menus for Night Warriors and Darkstalkers also play badass remixed versions of Demitri's and Hsien-Ko's theme songs, respectively. 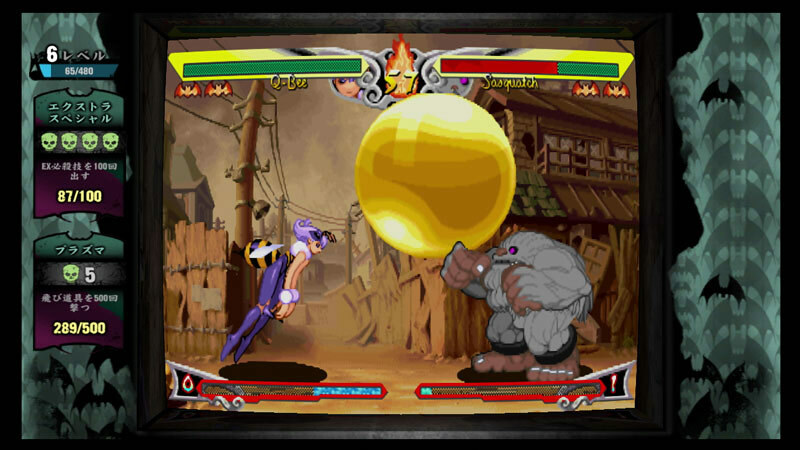 Besides running through all the new artwork, the sleek main menu also displays some interesting "Did You Know?" 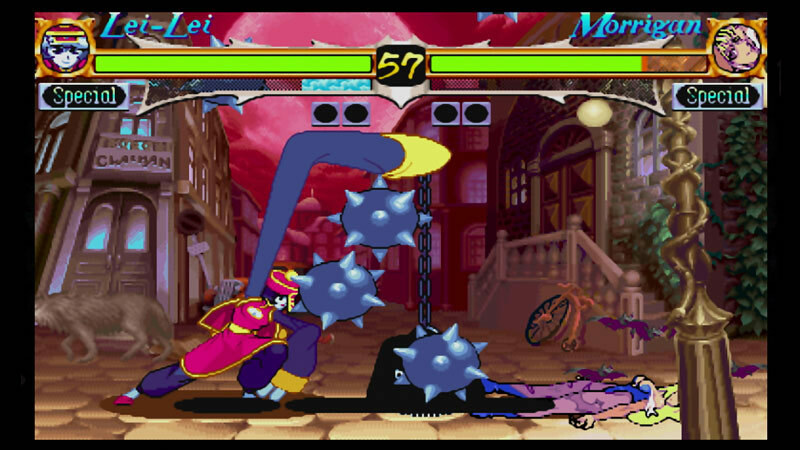 Darkstalkers facts, as well as your player level/rank. 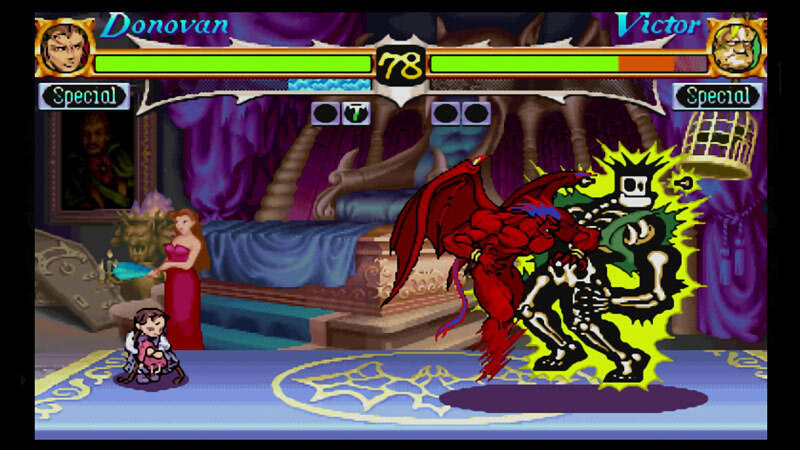 Besides the 7-second load times, switching between the Night Warriors and Darkstalkers 3 menus is a smooth ordeal. 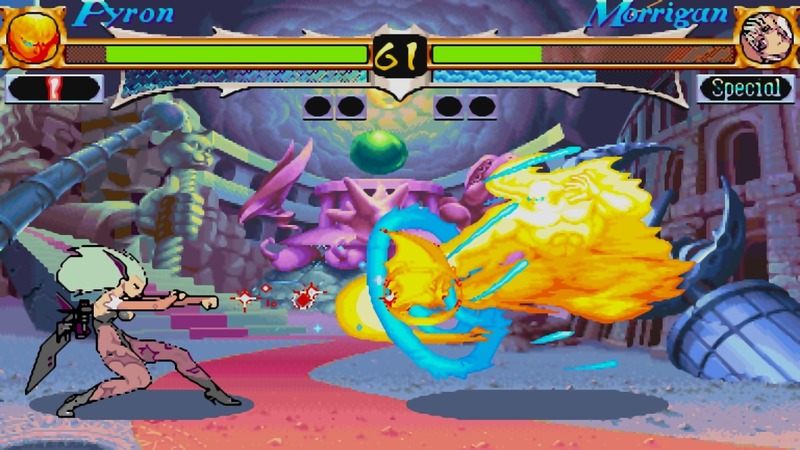 The game's HD filters make the ancient character sprites actually appear a few years younger, and the moody hand-drawn backgrounds still retain their old school charm. 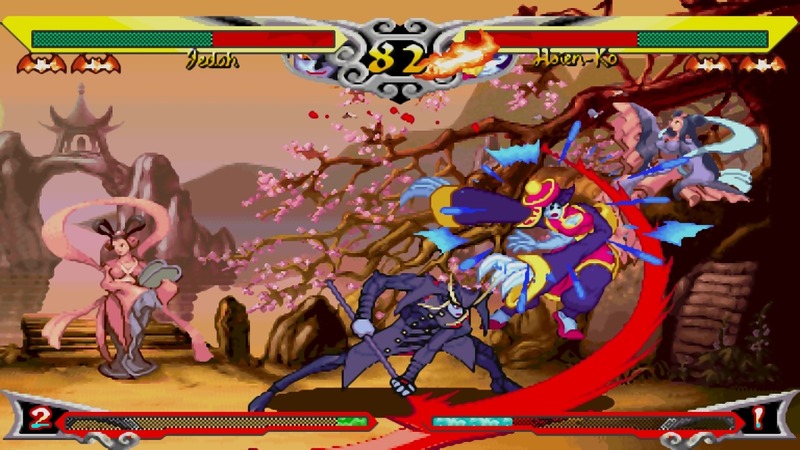 The classic animation still pleases the eyes as well, but the lack of frames during certain moves is certainly very noticeable by today's standards. 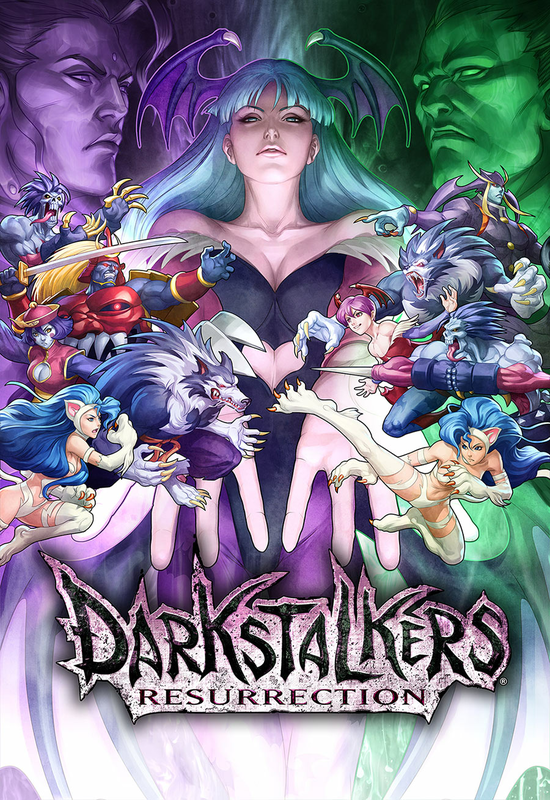 It only makes me ponder on how awesome a "next-gen" Darkstalkers title will look (which Capcom's Yoshinori Ono has previously expressed interest in making). 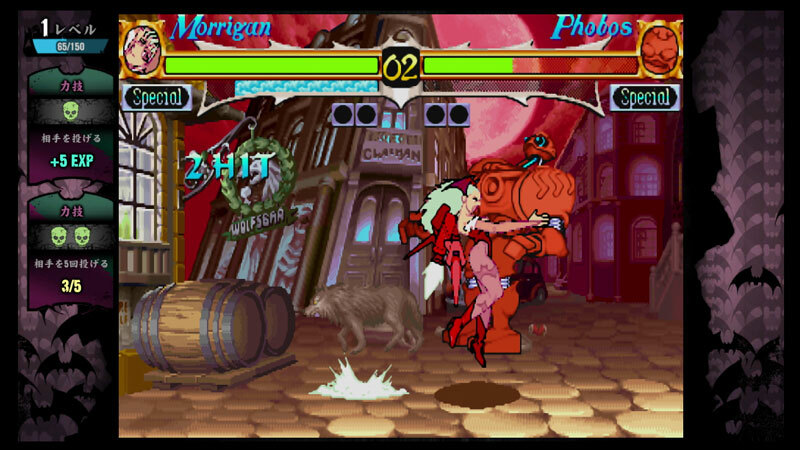 Lastly, the variety of cool visual options, such as: classic arcade view, original pixels, with/without scanlines, and smooth/sharp filters are all fun options to play with as well. 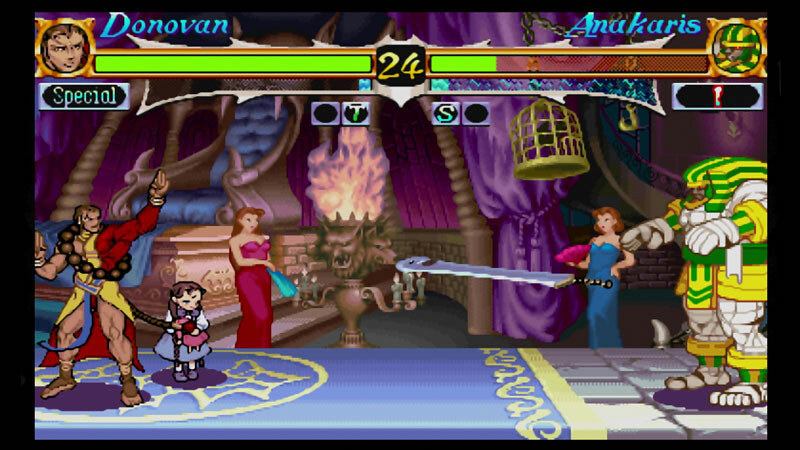 However, simply using the default "remastered" settings, the game's 2D visuals actually never looked better. 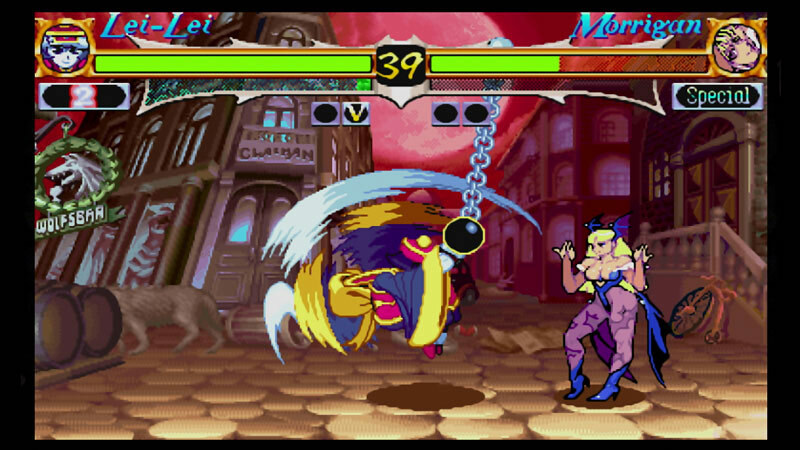 Darkstalkers is a through-and-through 2D fighter from the old days... and considering the iconic era it's from, the game still warrants respect when it comes to gameplay even after all these years. 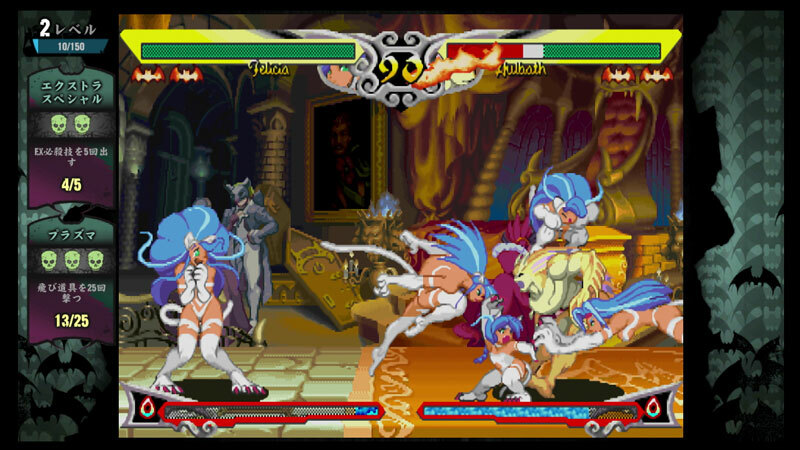 After a quick glance of a character's moveset, any 2D fighting game player can jump into a Darkstalkers game and pretty much know what they're doing. 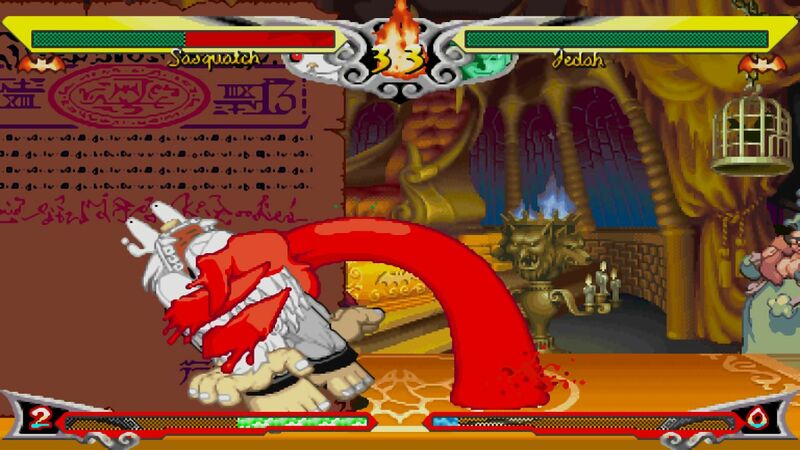 Darkstalkers is very accessible in that way, and the new Mission and Tutorial Modes of DS: Resurrection make learning a character even easier. 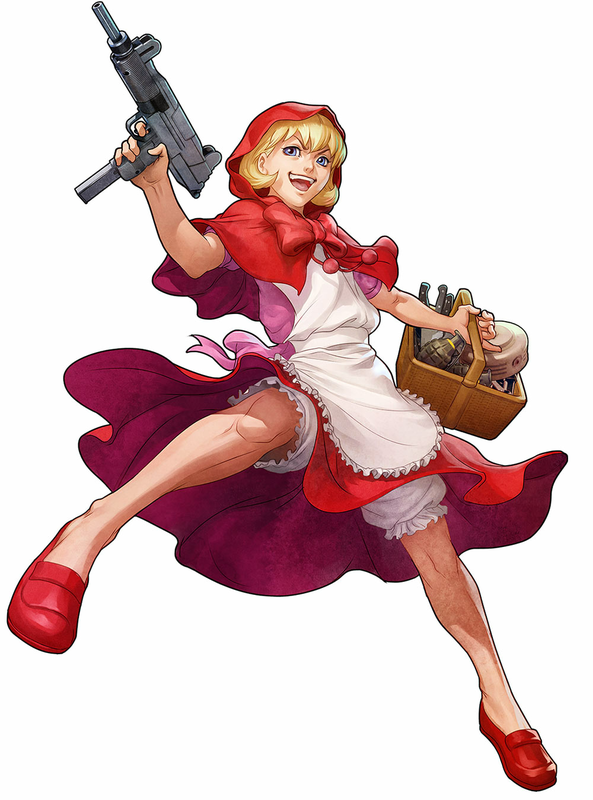 I have to say the team did a good job with each of the challenges, which give you some solid tools & tricks to add to your arsenal (and also makes you realize how deep and challenging of a game it is). 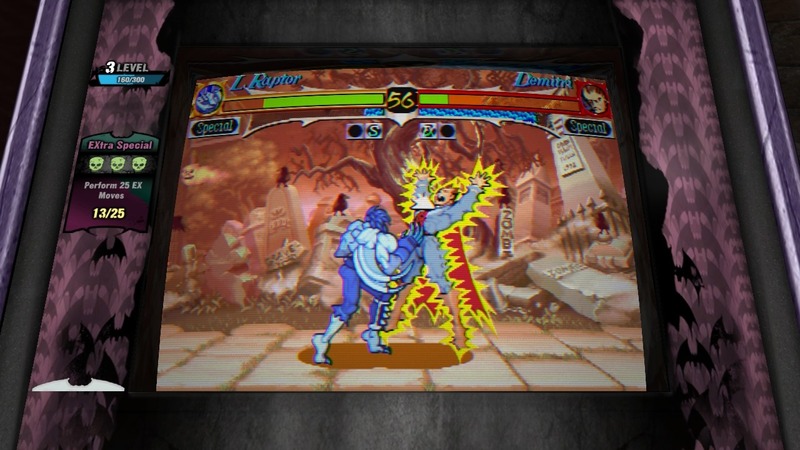 Each of the tutorials also feature some character-specific text commentary along the way, which makes learning that much more fun. 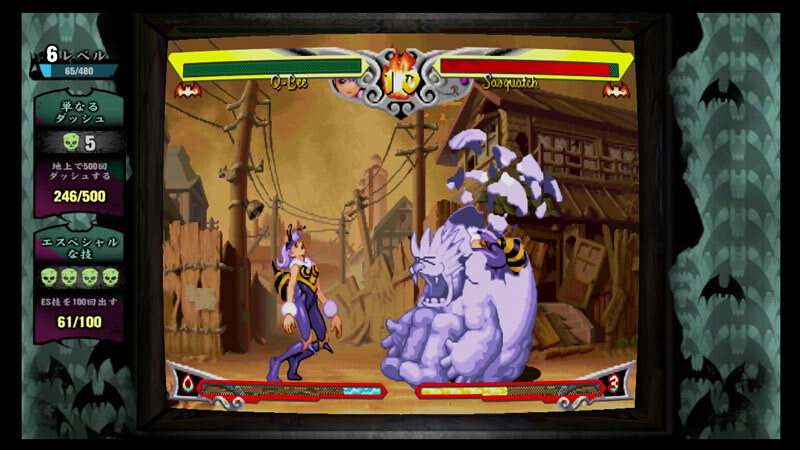 Through playing any of the game's main modes, realtime challenges appear on screen (within the borders) and make a nice accompaniment to playing a classic title such as Darkstalkers. 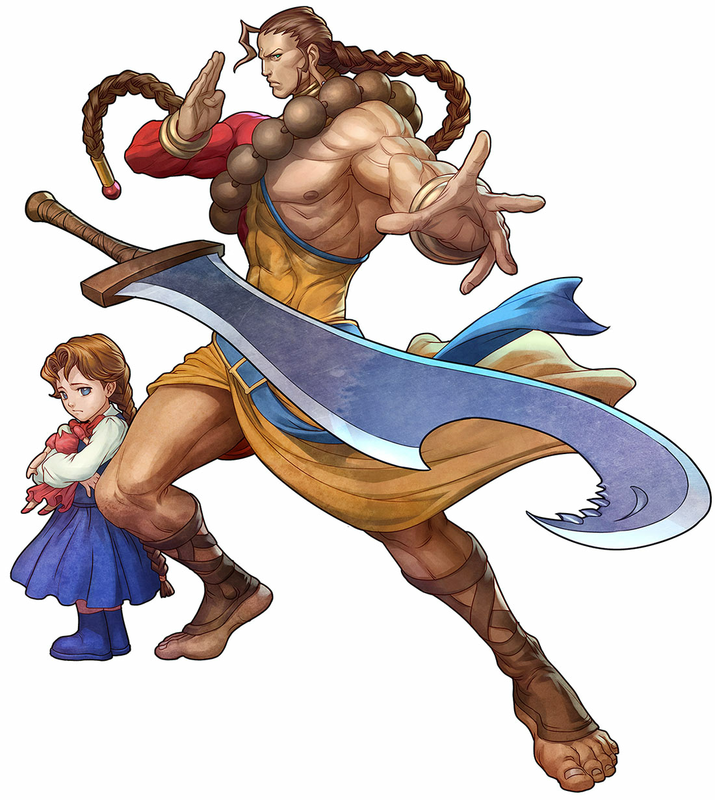 Pretty much everything you do earns you some sort of "reward," and you will level up as a player by repeating your solid fighting game fundamentals. 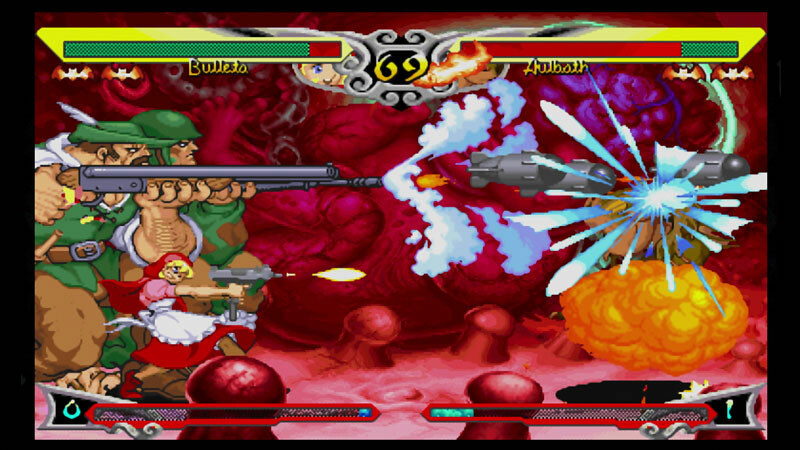 If you look for them, you'll also find other, more difficult challenges that you can tackle if you're an experienced player. 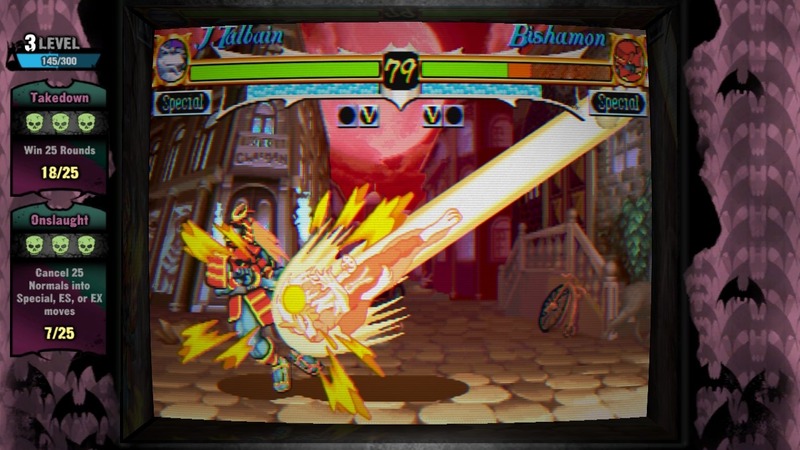 As you level up, you'll earn VP (Vault Points) which can be used to unlock content from the Vault, such as concept artwork, group artwork, and character endings. 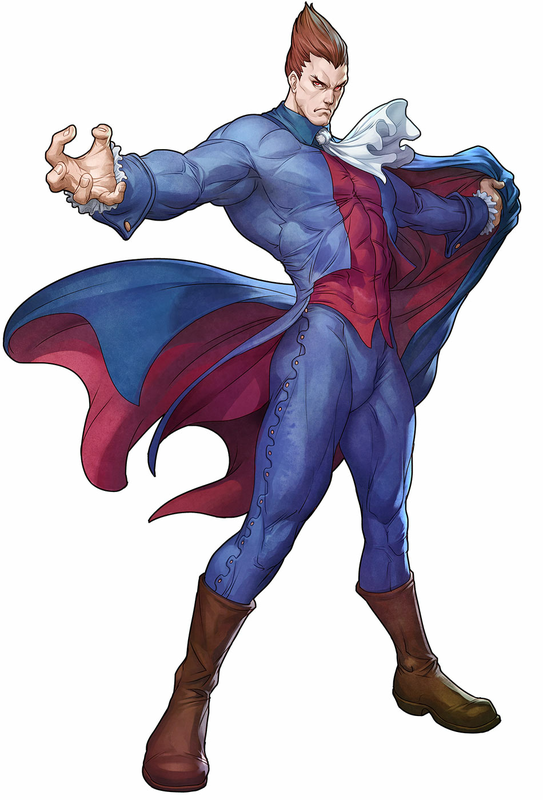 As a fighting game artwork enthusiast, I was kind of disappointed to see all of the artwork in the game generically labeled as "concept artwork"... especially since quite a bit of it wasn't done by Capcom at all. Also, some of Shinkiro's artwork from Capcom Fighting Evolution makes the cut as Darkstalkers "concept artwork". 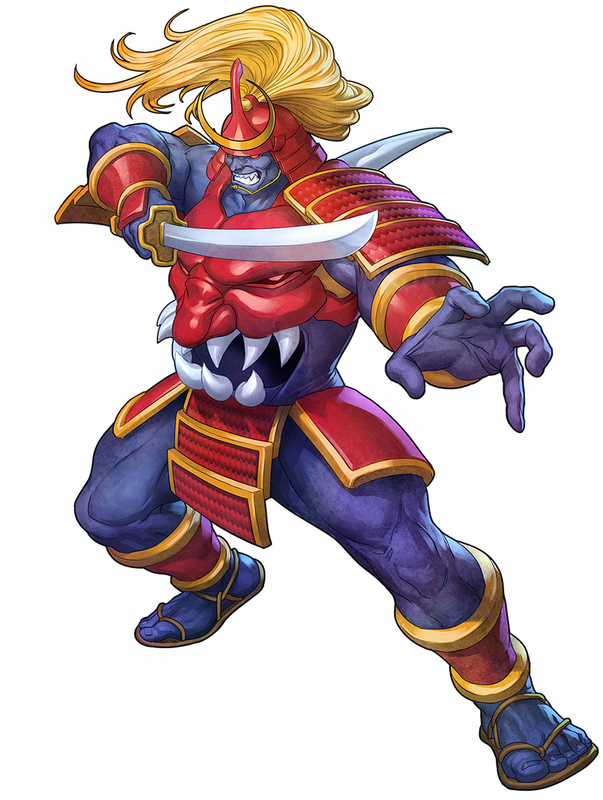 I know it's sort of a trivial thing to complain about, but I think the artwork should be labeled as what it actually is. 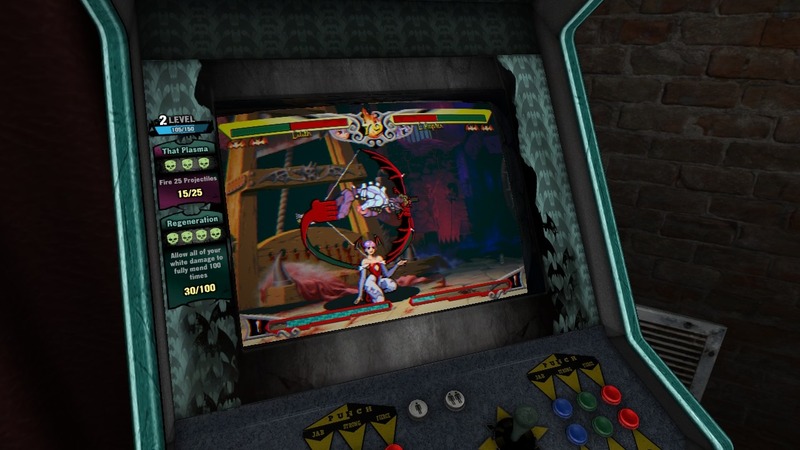 Also within the Vault is a "Theme Room" where you can freely move the camera around a classic arcade cabinet running the game. 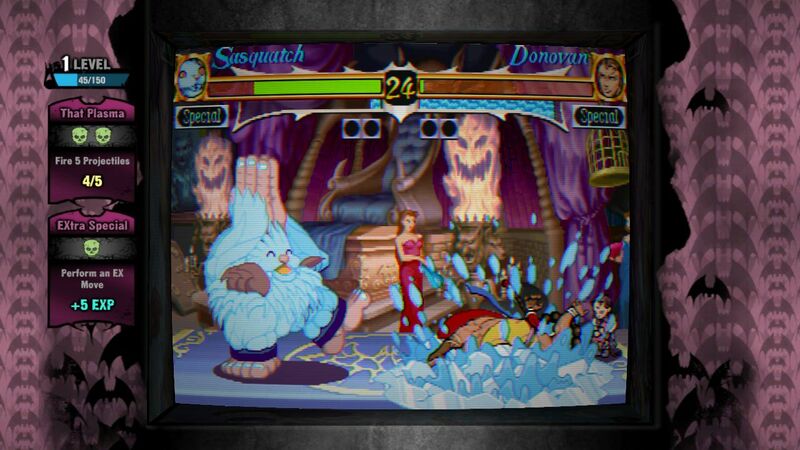 It's a cool little novelty, and a convenient way to show any of your "younger" friends what those old school arcade machines used to look like. (However, the awesome smell of the arcade machines can never be virtually replicated). 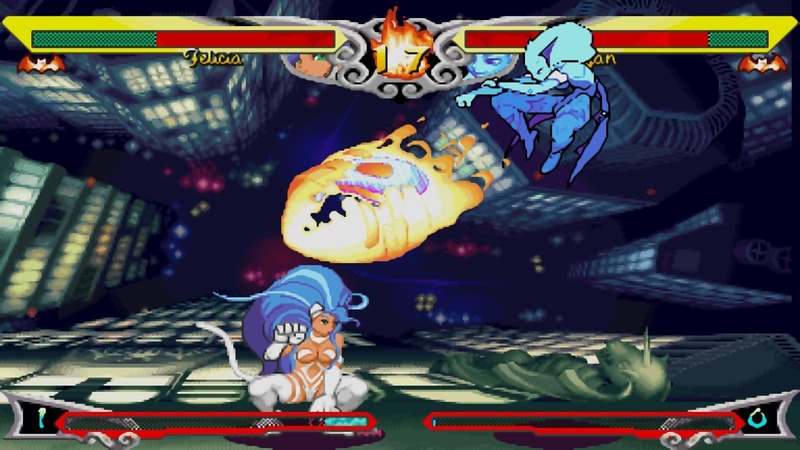 There are also DLC cabinet skins available based on each of the characters, but they'll set you back $0.99 cents each. 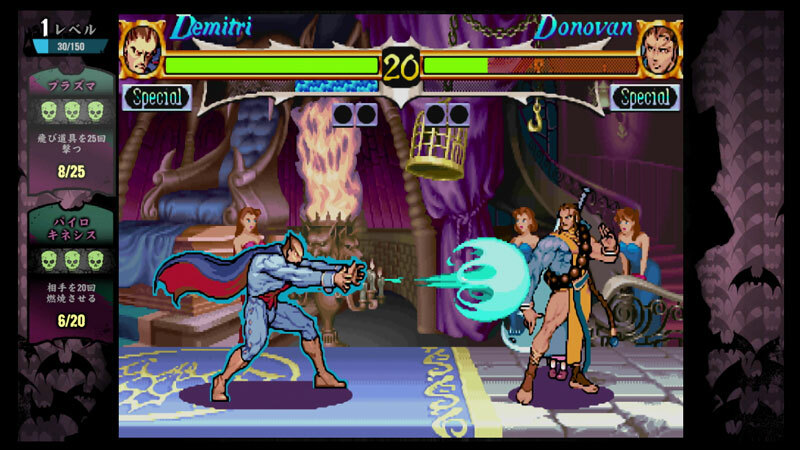 The unlockables are decent, but I also wish there was a bit more to unlock... some new character colors or console versions of characters would've been cool. 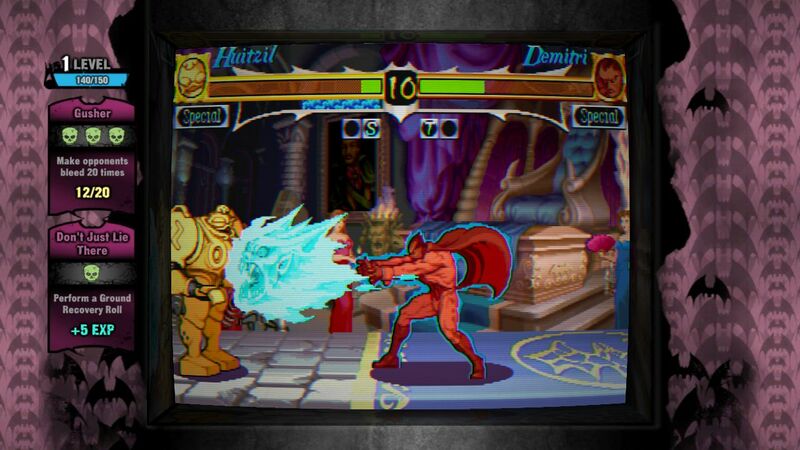 Final Words: For an old school fighting game enthusiast like me, picking up a nostalgic compilation with a few new bells & whistles is enough for me to shell out a couple bucks. 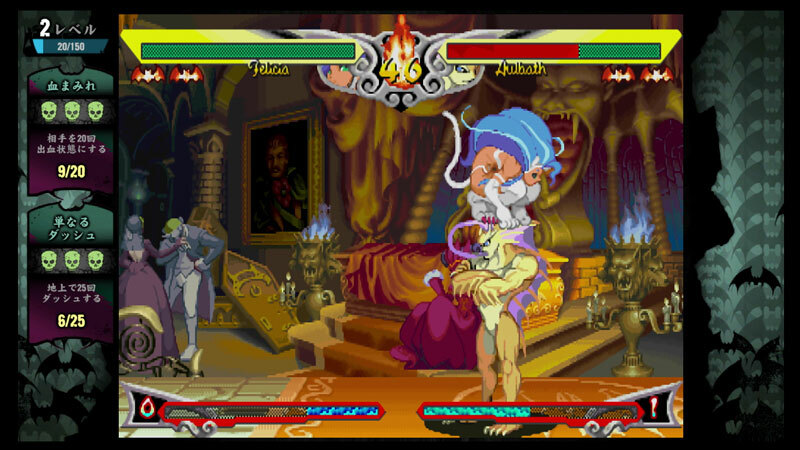 Whether you want to play Darkstalkers Resurrection by yourself or with others online, the solid number of options makes it easy to enjoy the game. 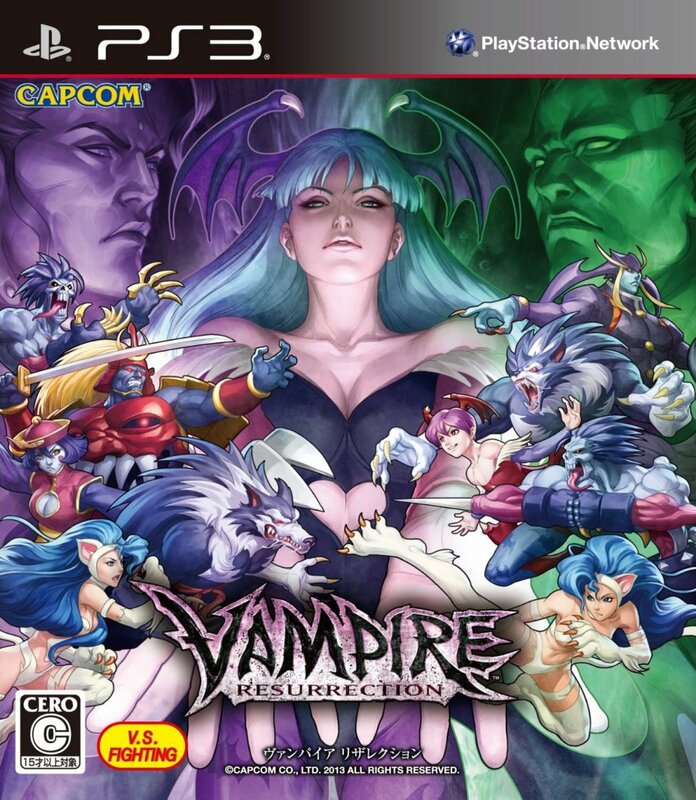 As you may know, Resurrection features the "perfect" arcade ports of Night Warriors and Darkstalkers 3. 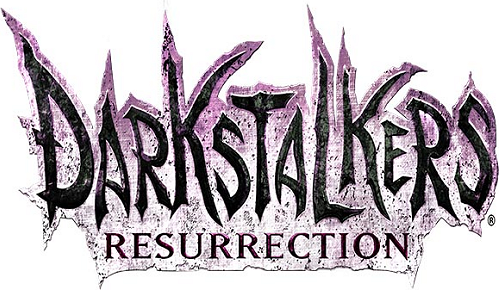 In the case of DS3, this means the character rosters are slightly different than previous console versions you may be familiar with... more specifically, lacking a few selectable characters. 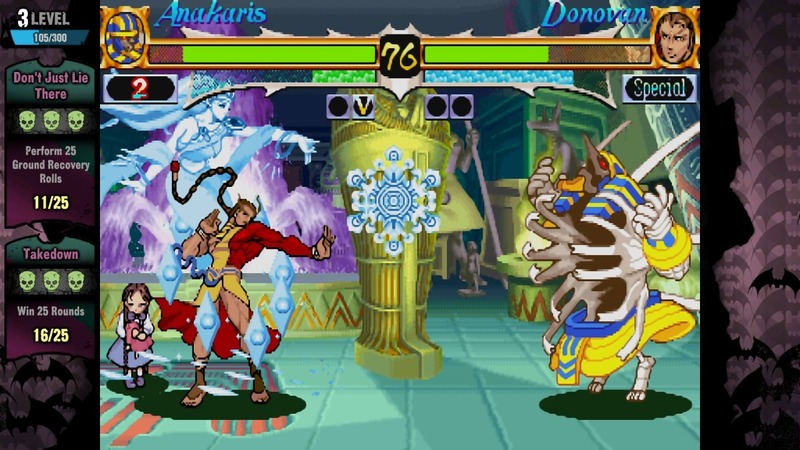 While I understand Capcom's reasoning for wanting to release an arcade perfect port, I find it disappointing not being able to use Donovan, Huitzil, and Pyron in this version Darkstalkers 3. 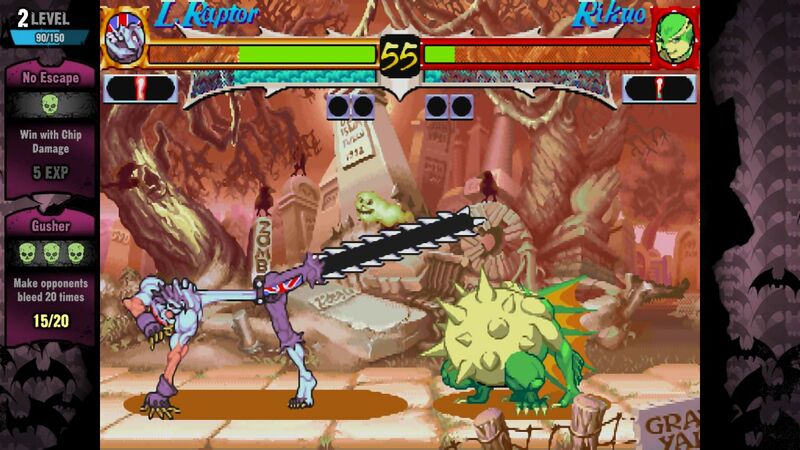 On the bright side, it warrants revisiting Night Warriors, which still holds up as a solid game on its own.